Before running either on a treadmill or out and about, it is wise to make sure that you have all of the right equipment. Some of this equipment can help you to perform at a higher level, and some of it will allow you to work out without the fear of an injury. Below are a number of tips that you can use when picking out your eyewear. Remember that although the price may be part of the equation, it should not fully drive your decision. Look for something that gives you what you really need. First of all, you’ll need a pair of glasses with a durable frame. A metal frame usually offers the most durability, and you can get sleek new designs from Oakley, Bolle, and many other companies. The frames may be constructed of solid metal – usually stainless steel or titanium, with rubber tabs over the earpieces for extended comfort and grip. You may also want to consider composite frames that are designed to be flexible. In the unlikely event that they fall off your face while running, they will simply bounce on the floor or the treadmill, and absorb the impact without breaking. The advantage of these frames is that they will bend back to their original shapes, something that standard metal frames cannot promise if they do get bent. That said, any good glasses that are designed for running should never fall from your face in the first place thanks to their design and snug fit. These days, many frames designed for sport tend to be made from tough plastic or acetate – or in the case of Oakley – their own form of plastic called Omatter. Next, you need to consider your own comfort. 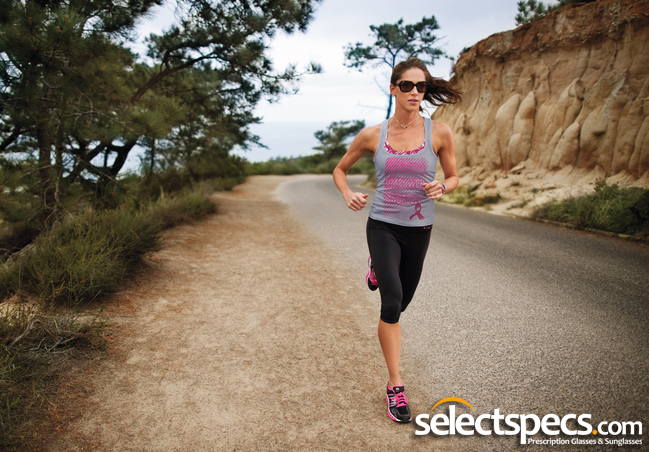 Rubber earpieces and nose-pieces give you the best comfort, even when you are bouncing and moving as you run. Metal doesn’t usually offer you this comfort and could even scratch your face, so if choosing a metal frame you will need to check that it has rubber/padded protection in key areas around the frame. Some Oakley glasses, such as the new Oakley Crosslink model come with wide nose-pieces that are built right into the frame. Oakley glasses or sunglasses feature a rubber-like material which they call Unobtainium on the ear pieces and sometimes on the nose-pads. This material becomes tacky as you begin to sweat meaning that the glasses will stay firmly in place as you run. Comfort can also be connected to the total weight of the frame that you choose. You should aim for a lightweight frame that you can barely feel while you wear it. You can reduce the weight of your prescription eyewear further by selecting Thin & Light Lenses rather than the standard lens option. This is especially true if you are dedicated to cutting back on the weight of your shoes and your other equipment in order to get better times when you race. 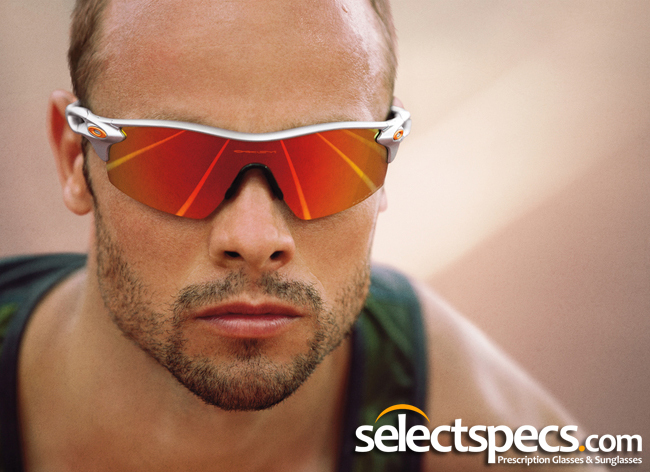 Good running glasses should never fall from your face, but you need to be ready for any eventuality. The lenses could be scratched if you take them off to wipe your face and accidentally drop them. Scratch-resistant coatings can help to make the lenses last much longer before they need to be replaced, but it is worth knowing that it won’t make the lenses indestructible, so you will still need to take care when you take your glasses off and put them in your locker before hitting the showers. Finally, you need the glasses to fit correctly. They should not be so tight that they cause you any discomfort, but they should fit firmly on your head. The less they move, the better you will run. Avoid buying glasses that are the wrong size. As mentioned above – Oakley’s Unobtainium material will ensure the glasses or sunglasses stay firmly in place throughout your exercise routine. 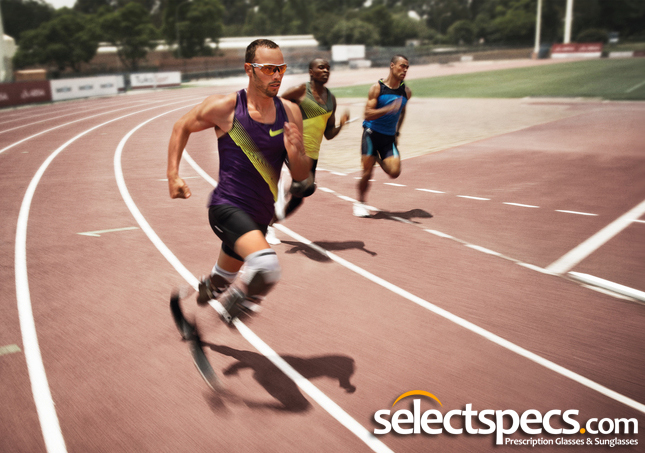 With these tips, you will find the eyewear that meets your needs in the gym, on the track, or even on a treadmill at home. Jack Holland has been a workout enthusiast for many years. He uses firsthand knowledge to give advice to both new and experienced runners. Since he knows the value of good equipment, he would encourage you to click here to find a great treadmill.